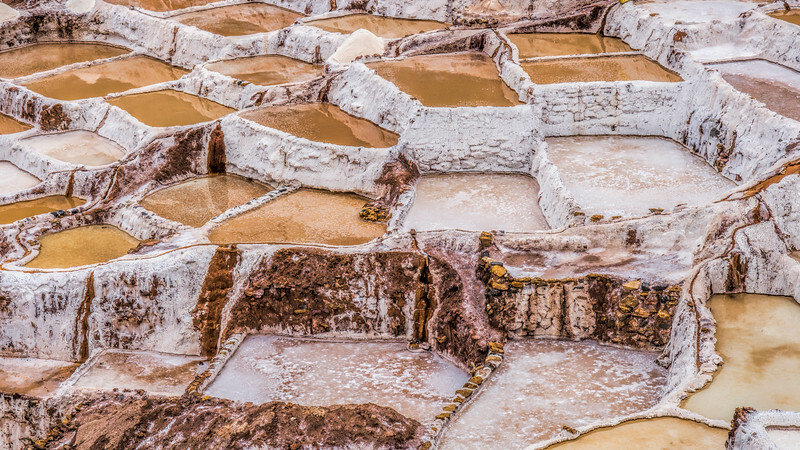 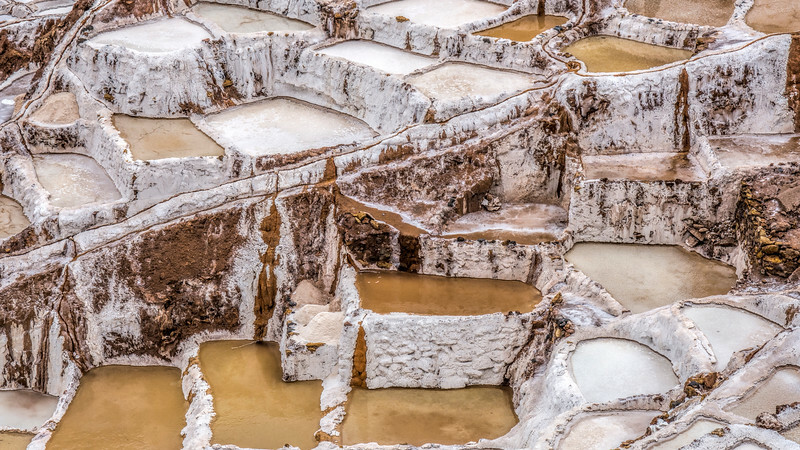 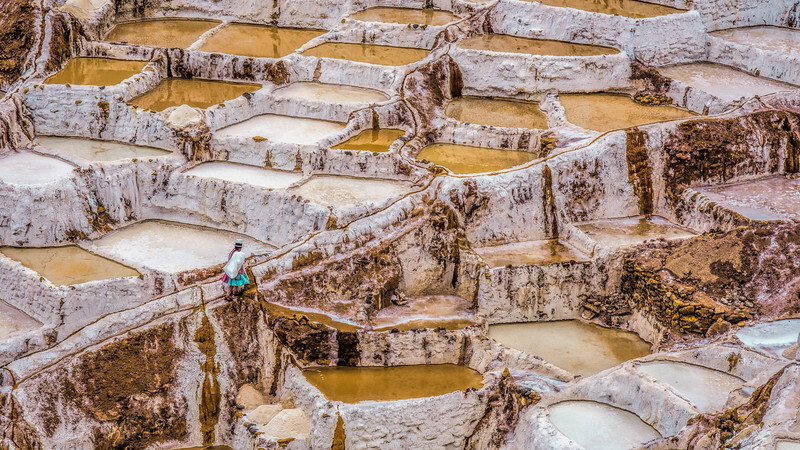 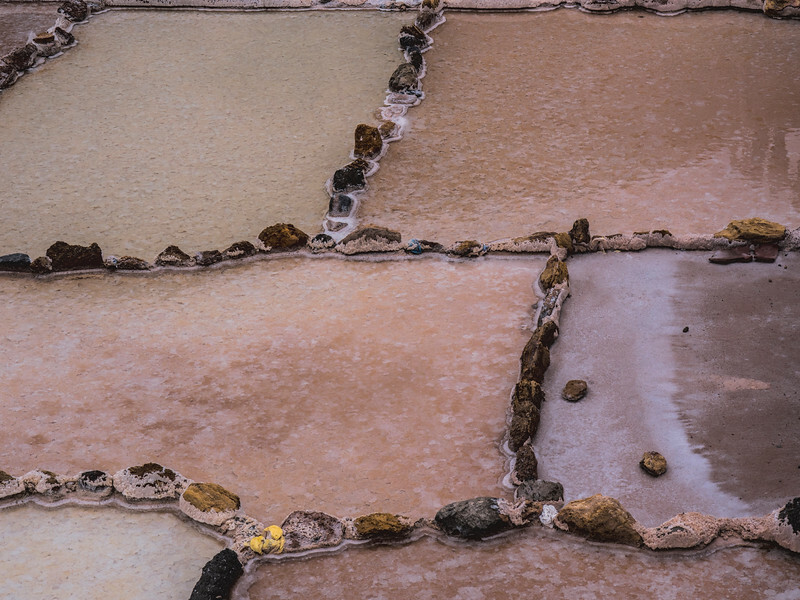 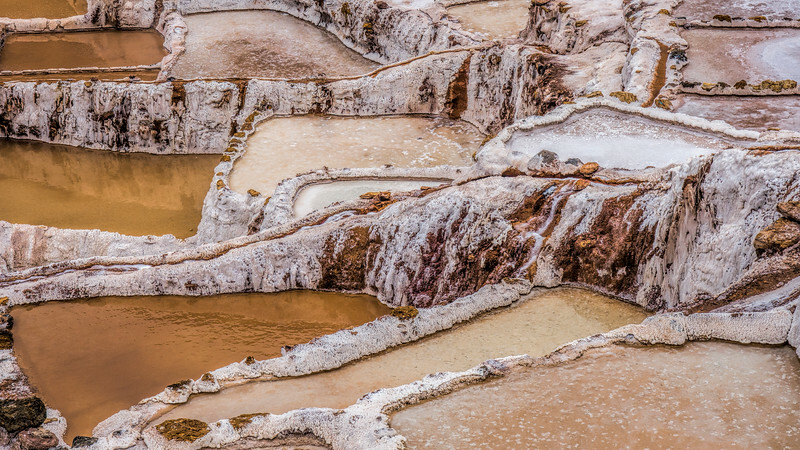 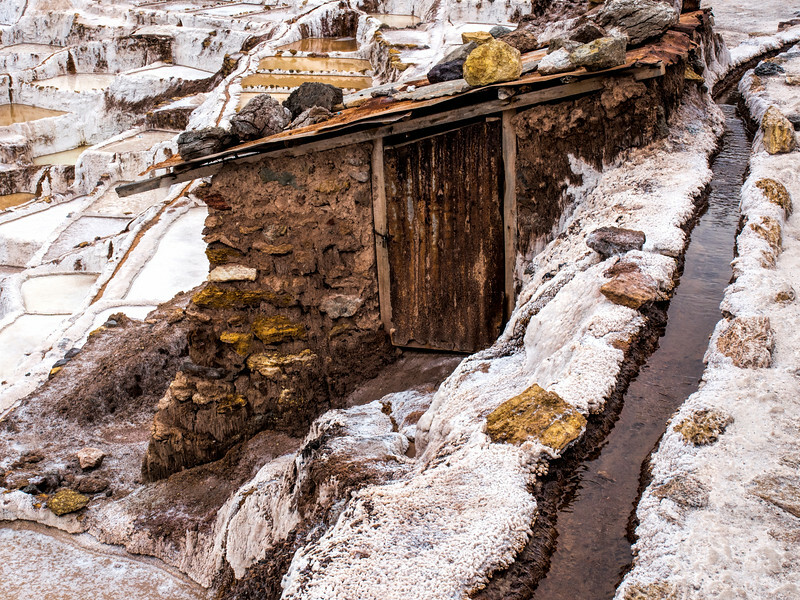 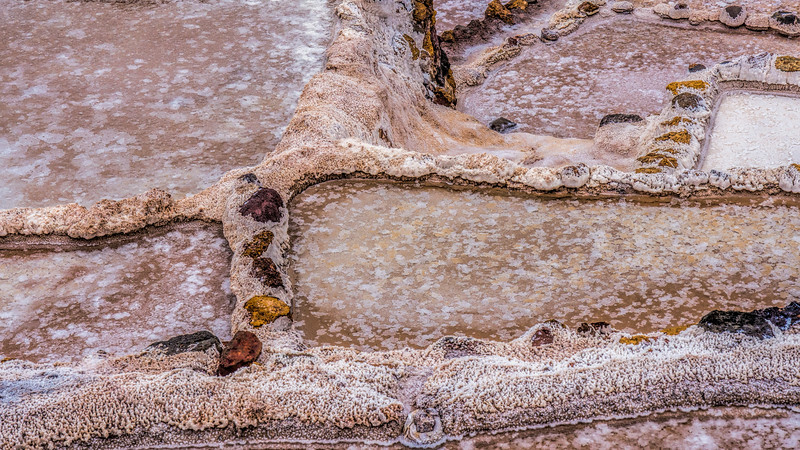 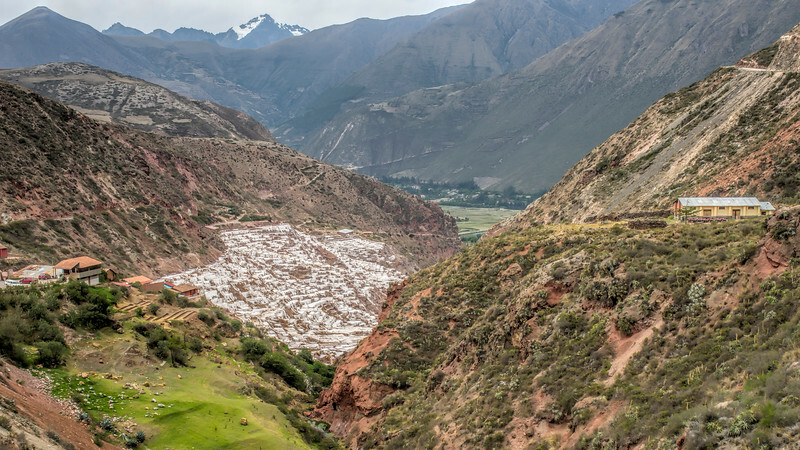 These salt ponds (or Salineras) are located just outside Maras in the Sacred Valley. 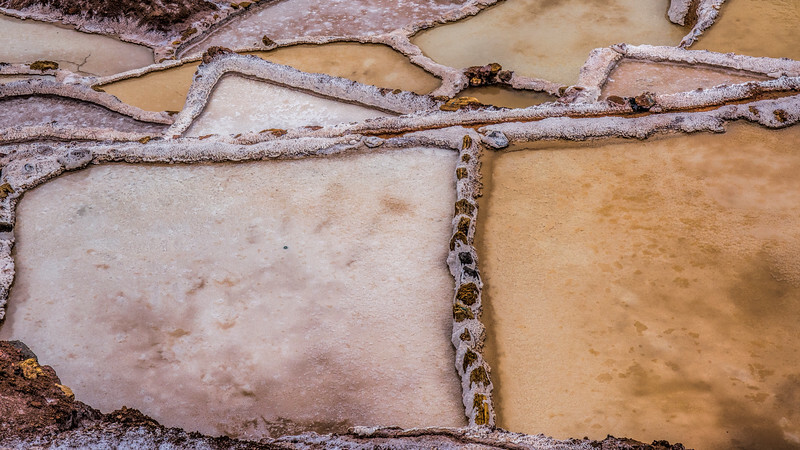 Traditionally they have been available to any person wishing to harvest salt, but the owners of the salt ponds must be members of the community, and families that are new to the community wishing to propitiate a salt pond get the one farthest from the community. 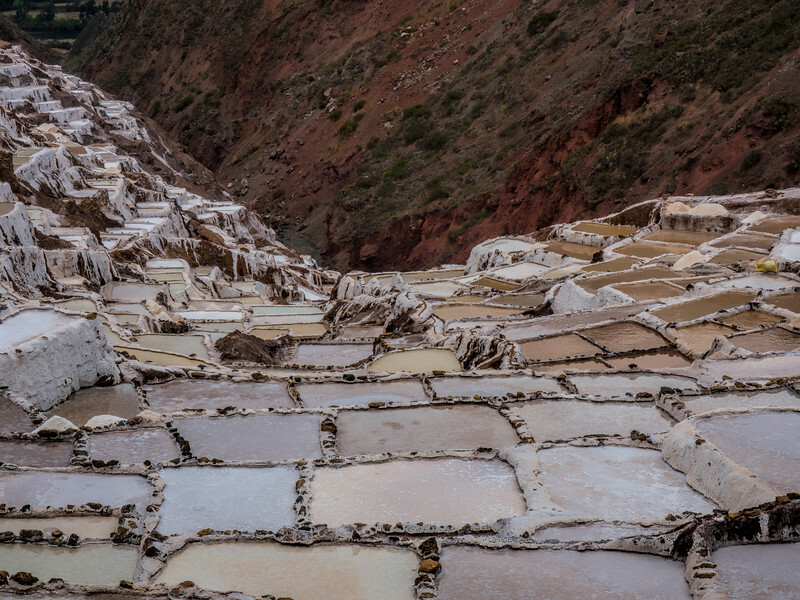 Currently there are over 2000 families supported by these salt ponds.